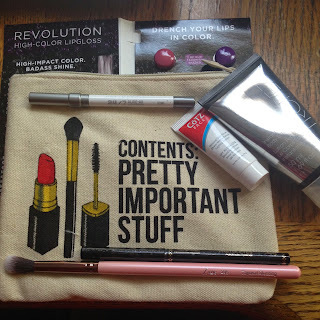 My May Ipsy bag arrived this weekend, and there's some pretty cool stuff! I haven't used everything yet, but here's a closer look at what I got. So, the bag itself is from a company from Breakups to Makeup, and they do a whole bunch of funny/clever makeup-related slogans on their products. There's a deluxe sample of Urban Decay's Ozone pencil, which I already have and love, because it's their 24/7 formula in a clear color, which makes it useful for just about anything, from setting your lipcolor to grooming your eyebrows. 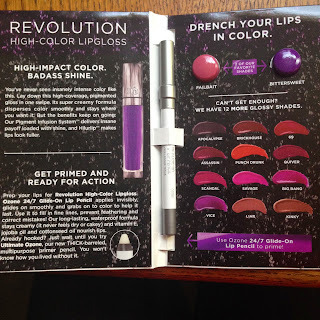 It also came with samples of their Revolution High Color lipgloss, which I absolutely freaking love. 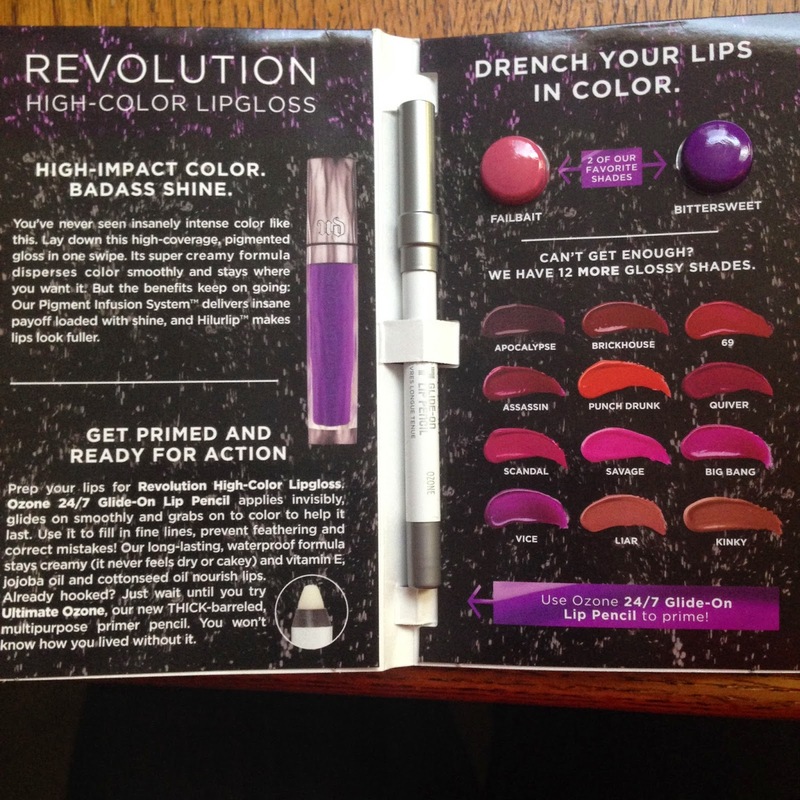 The shades I got were Failbait and Bittersweet, which I also already happen to have (swatches here). 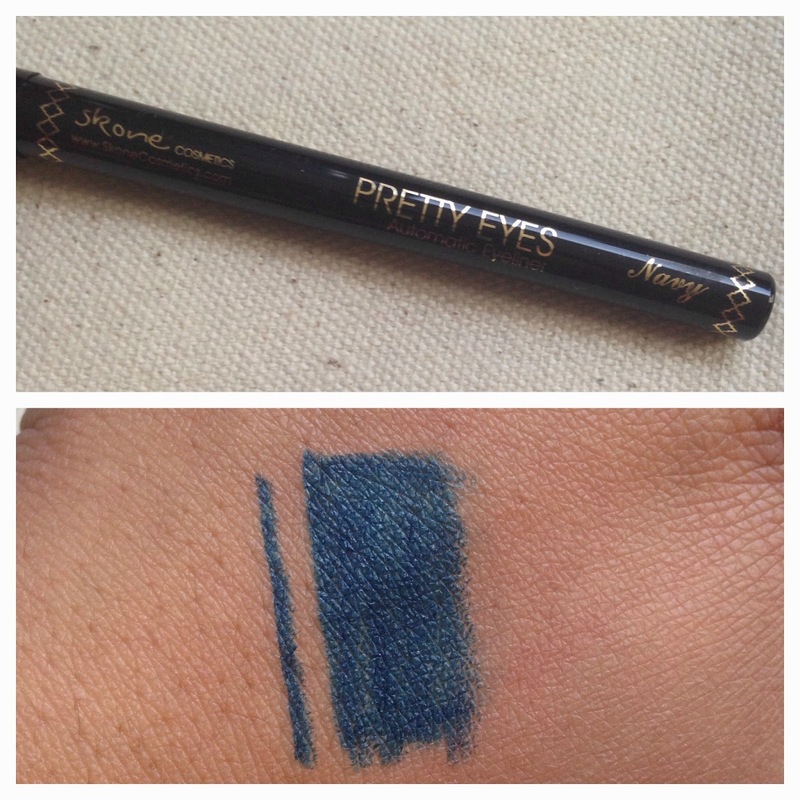 I got a full-size eyeliner from Skone Cosmetics. It's a pretty color - they call it navy, but it looks like it leans a little teal - but it rubbed off far too easily from the back of my hand. Maybe a good primer will help. 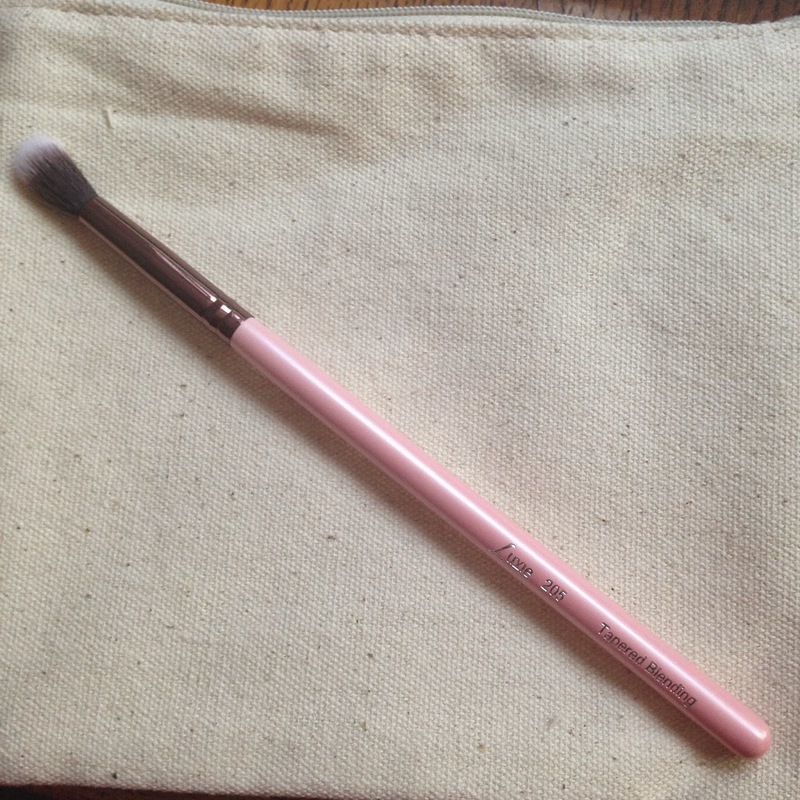 I also got a tapered blending brush from Luxie Beauty. It's funny, I'd never heard of them until a couple weeks ago - I was in search of Z-Palettes, and realized that the Luxie Beauty location ten minutes from my house carries them. I did get a look at their brushes while I was there, and they seemed like good quality brushes. This particular one was a little on the fluffy side, but I liked the feel of it a lot. 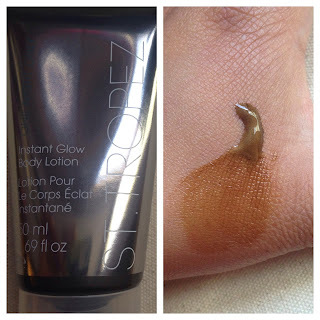 There was a deluxe sample of St. Tropez One Night Only Instant Glow Body Lotion, which is a temporary mildly-tinted tanning lotion - I guess it's for when you don't want to fully alter your skin tone, and you just need to look a little tanner for an evening. I don't usually have much use for this sort of thing because I tend to tan pretty easily from running outside all the time, but I did appreciate that this did show up a little on my skin. 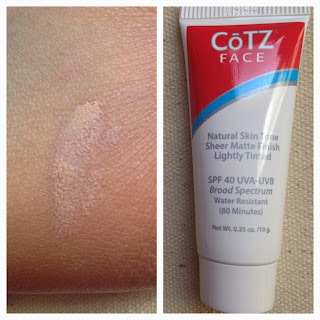 I tried it on my hands/arms, and there was a subtle difference - I haven't yet tried it on my paler parts. And it did wash off, so I'm glad of that. Lastly, I got a small sample of CoTz Face Natural SPF 40. It's a facial sunscreen with a light tint and a matte finish - it actually reminds me more of a primer, which, I guess, would be the point. I haven't tried it on my face yet, but I really like the texture, and it got a lot of good reviews on Ulta, so I'm excited to try it. 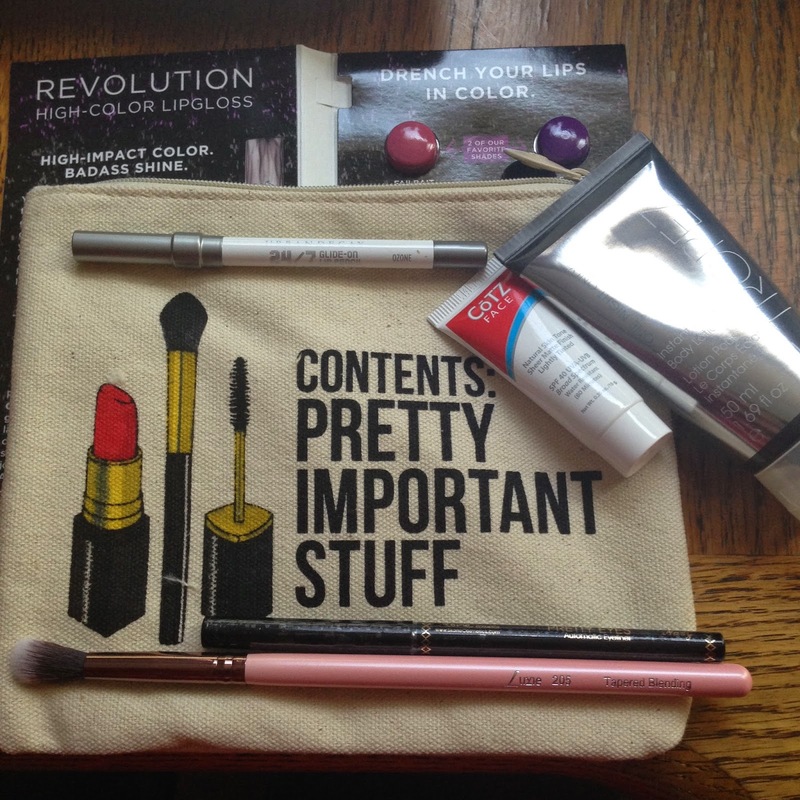 So, hey, another great bag, Ipsy! And considering how the eyeliner alone costs $15, I'd definitely say I got my money's worth.